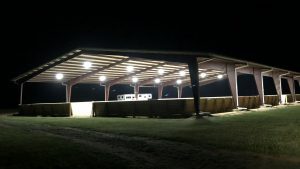 Our new state-of-the-art 90 x 160 foot covered arena is available for rental. Too hot to ride? 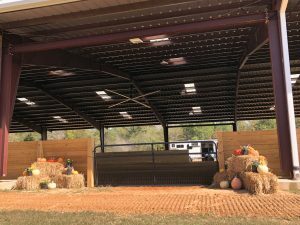 We have shade and a 24-foot overhead fan to keep you and your horse cool. 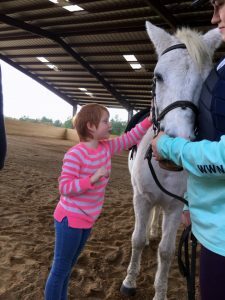 Raining or too soggy to ride outdoors? 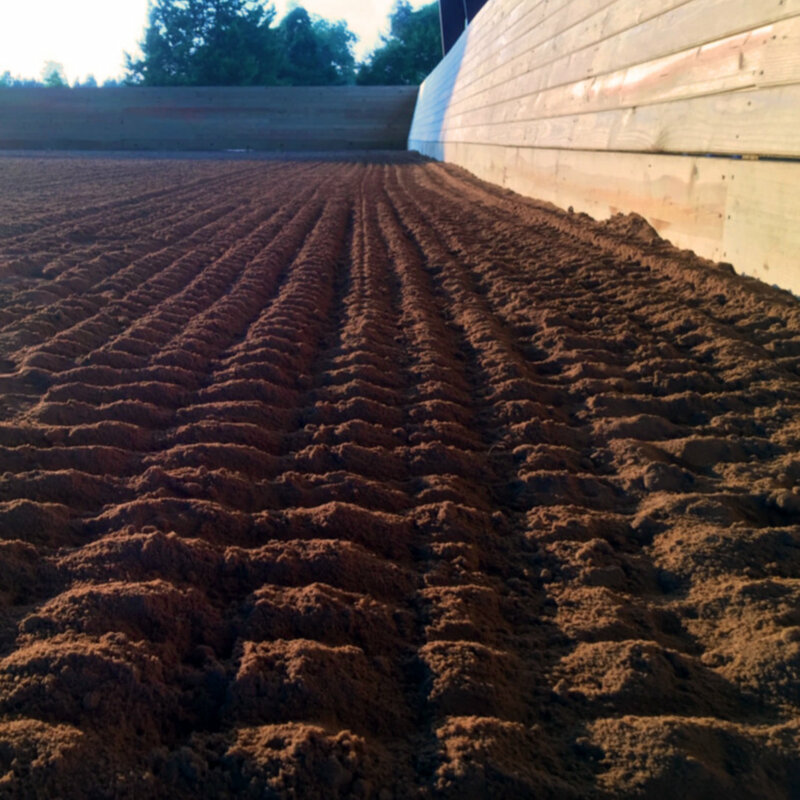 Our groomed and irrigated footing will allow you to keep your horse in training despite the weather. Never worry about the weather causing your lesson to be canceled again. 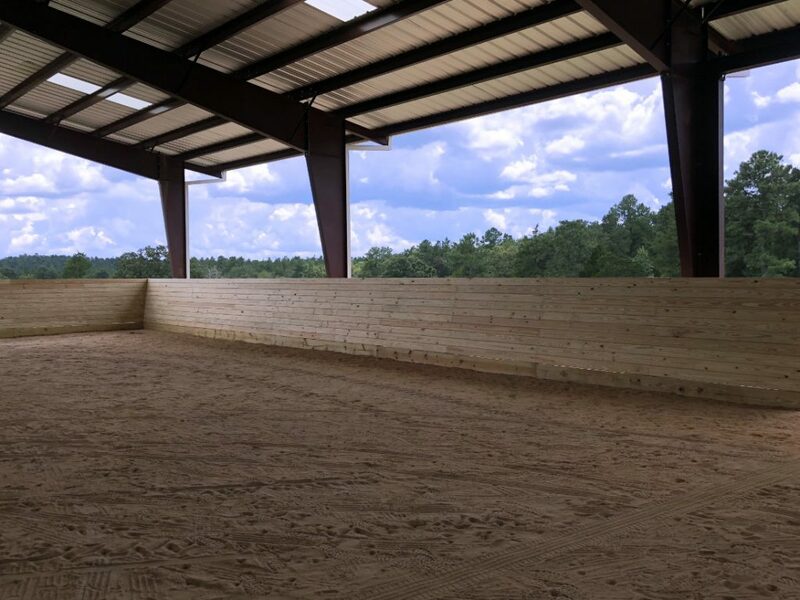 Our new state-of-the-art 90 x 160 foot covered arena will protect you no matter what Mother Nature throws at you. 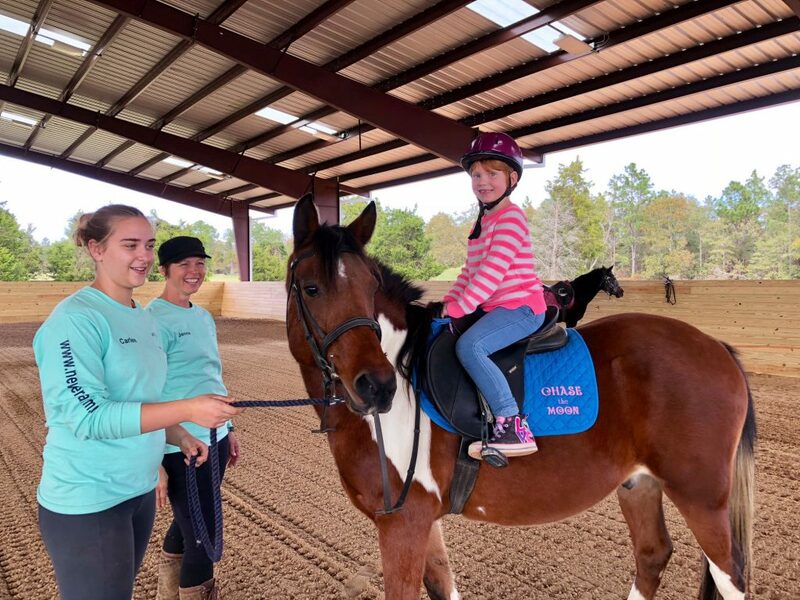 Our groomed and irrigated footing will allow you to keep your horse in training despite the weather. 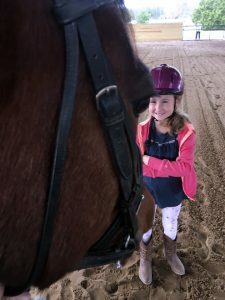 The covered arena is available to rent by the hour or by the day for training, lessons, horse shows, clinics, and special events. If you have a special request or are having a large event, please give us a call so we can work out the best pricing option for you. Prices are subject to change without notice. 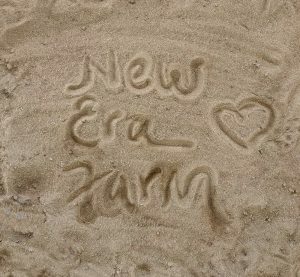 Please call to see when the arena is available.